Schools have been using lockdown protocols with success for the past 30 to 40 years. Acts of workplace violence, emergency room shootings, K-12 and higher education shooting rampages demonstrate the need for our campuses to have this lifesaving capability. Security solutions such as rotating decorative bollards,safety nets and collapsible sidewalks are just some of thenontraditional ways campuses can protect their perimeters whilemaintaining an attractive appearance. Check out these three innovativetechnologies. Adopting perimeter security measures that are sturdy yet aesthetically pleasing keeps kids safe while providing a more welcoming atmosphere. Key bumping is a lock-opening technique that has been used by locksmiths for more than 75 years but was mostly kept from public eyes and knowledge – until recently. Installing an access control system for future growth is everybit as important as making sure it is backwards compatible. 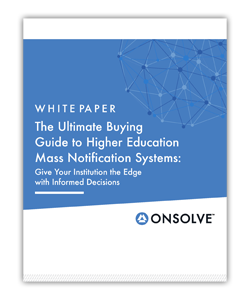 Whetherdeploying standalone electronic locks, networked and/or integratedsystems, or high-level technology such as biometrics, campuses shouldadopt solutions that can accommodate their changing needs. The University of Nebraska-Lincoln adopted the latest inaccess control technology to protect its Biological Process DevelopmentFacility. See how this campus keeps unauthorized personnel from thevaccines and therapeutic countermeasures the school develops to combatbiological warfare agents. Managing the keys and door control systems from a plethora of manufacturers proved to be an unwieldy task for this New York campus. An upgraded lock system however, lets the facilities department simplify the school’s access management, while reducing labor and improving security. With campus gun violence in the headlines once again, hospital, school and university officials should review and update their policies, procedures and equipment so they can reduce the threat of future attacks. When officials at a Montana hospital began planning for the expansion of their camera surveillance system, they didn’t need to convince the nurses or employees that the upgrade was a good idea. 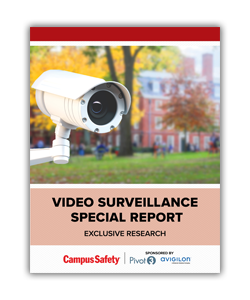 Although crime isn’t an issue at the center, staff members embraced the notion that improved CCTV coverage would mean even greater safety and security for facility personnel, patients, visitors and assets.